2 Kicks is a program designed specifically for 2 year olds. This parent-assisted (parents are required to attend each class along with their child) class focuses on developing skills such as walking, balance, coordination and socialization. 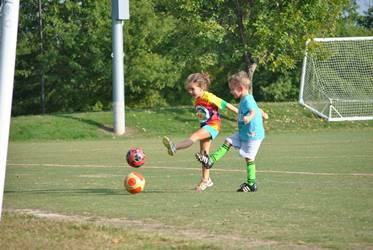 Additionally, the very basics of soccer – such as kicking and dribbling are introduced. Registration is now open and you may register online or in person.